You can help The Center raise up to $20,000 in just 3 easy steps! We are an official KidCents charity with RiteAid and every new designation through their wellness+ and Plenti program can earn us a BIG donation. If we can get 300 or more designations we will receive $20,000. YOU can help raise real money for The Center! It is free to designate us as your charity. When you use your wellness+ and Plenti card, your purchase will be rounded up to the nearest dollar and your change will be donated to The Center. There is no obligation to use your card when your make a purchase, so designating The Center is free! You should see your account logged in on the left. Click “Select a Charity” on the left or go to our page HERE. Click “Select This Charity” beside the organization. You are now enrolled in KidCents with The Center as your designated charity! Your account is active immediately and your card will arrive in 7-10 days. In the meantime, you can shop in-store and receive wellness+ with Plenti benefits by using the phone number associated with your account. You can check back any time to track how much you’ve donated or to change your preferences. 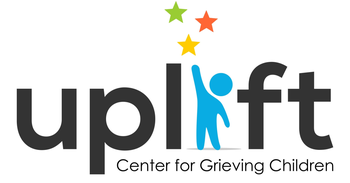 If you have questions or issues in signing up please contact Jack Small, Development & Communications Associate at jack@grievingchildren.org or 267-437-3123 extension 23.